“Good bugs, huh?” –farmers and homeowners alike all too often give a blank stare when questioned about the beneficial insects that occur on their respective farm, backyard or flower patch. Though insects abound within natural and agricultural ecosystems across the globe, and a fair share of them provide vital services to humanity, we as human beings rarely pay attention to them. Aside from honeybees and the occasional colorful butterfly, we routinely regard these ‘creepy crawlies’ with disinterest, ignorance or even outright fear. Yet, many of the insects that assume concealed lifestyles in the undergrowth are natural-born killers – specialized in combating pests through a process called ‘biological control’; a cost-free service provided by nature that’s worth $4-17 billion annually to US agriculture. Biological control thus constitutes a most lucrative alternative to pesticide-based measures for crop protection, helps protect the environment and is a core component of sustainable food systems. One particular type of biological control, so-called ‘importation biological control’, is tailor-made to tackle invasive species problems. 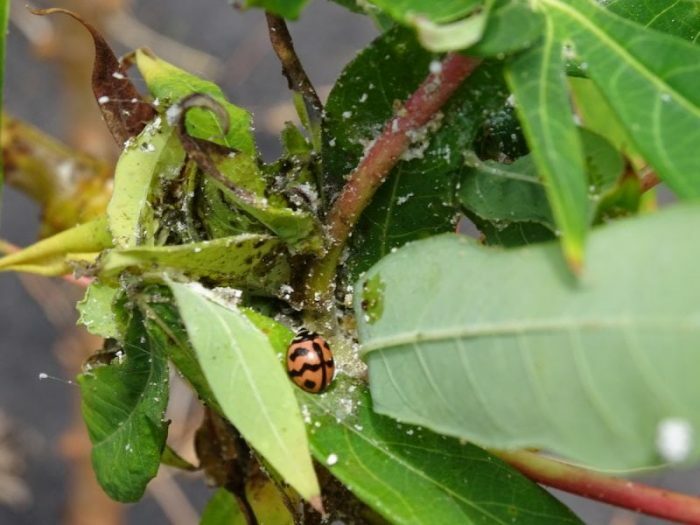 More specifically, invasive pests are managed through the careful selection and subsequent introduction of a highly effective, specialized beneficial insect (or ‘natural enemy’) from the pest’s region of origin. By doing so, scientists reconnect insect ‘friend and foe’ and thus restore balance in invaded ecosystems. In 2009, importation biological control was implemented against the notorious cassava mealybug (Phenacoccus manihoti; Homoptera: Pseudococcidae), a wooly aphid-like creature that had made its unfortunate arrival in cassava crops in Southeast (SE) Asia. Cassava is a prime commodity in tropical Asia -similar in importance as corn or soybeans are to the US Midwest- and it’s extensively used for food, feed, starch, and bio-energy. In parts of eastern Indonesia, Philippines, and the Pacific, cassava is a prime food staple and features in local cuisine under multiple forms. As this invasive mealybug rapidly spread across tropical Asia between 2009 and 2014, it inflicted major crop losses and impacted cassava-growing livelihoods and rural agro-industries to a substantial extent. Yet, the 2009 introduction and large-scale release in Thailand of a highly-selective natural enemy of P. manihoti (the parasitic wasp Anagyrus lopezi) quickly changed the odds for the mealybug. The A. lopezi wasp was originally sourced from far-off Paraguay and southern Brazil in 1981 and had earned its stripes in controlling the mealybug across Africa’s cassava belt during the early 1980s. More so, this tiny wasp was credited with generating a staggering $8-20 billion economic benefits at a continental scale in Africa and with averting widespread famine for >20 million people. The scientist who coordinated the globe-spanning biological control campaign at the time –the Swiss national Dr. Hans Herren- even was awarded the prestigious World Food Prize for this work in 1995. 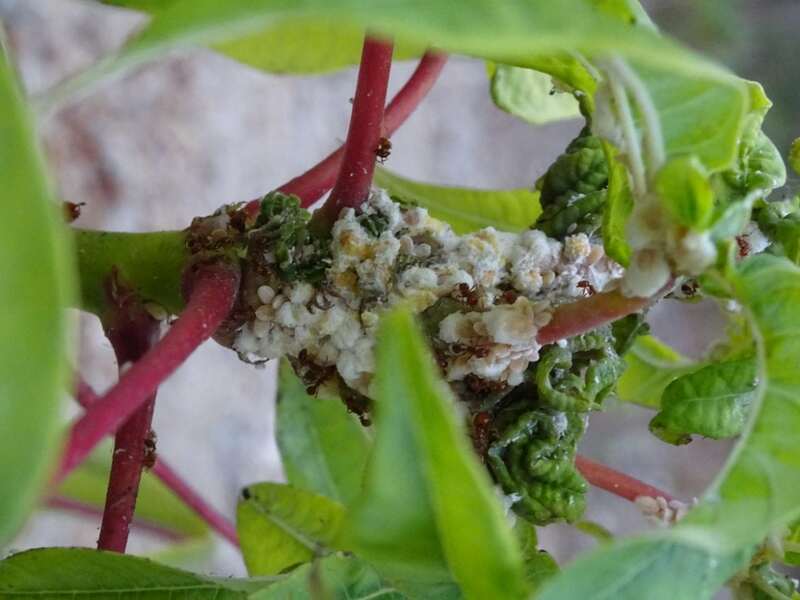 When the cassava mealybug first made its appearance in Asia, researchers from the Royal Thai Government were well aware of this endeavor, and swiftly teamed up with UN-FAO and CGIAR institutes to bring in this same A. lopezi wasp. A study recently featured in the journal Biological Control illuminates how A. lopezi now also drives down mealybug populations in cassava crops in southern Vietnam. The study draws upon extensive fieldwork over 2013-2015, carried out by Vietnamese scientists –in close collaboration with researchers from two US universities, US Department of Agriculture and CGIAR centers – to show how cassava mealybug numbers remain low across locales and cropping seasons. More so, irrespective of landscape context, this South American wasp delivered effective pest control in local cropping systems and there was no interference from other locally-occurring insect species. “The study clearly shows how the majestic Anagyrus lopezi wasp is key to effective pest control in Vietnam’s cassava crop” says Dr. Kris Wyckhuys – former entomologist with CGIAR Program on Roots, Tubers and Banana (CRP-RTB) / International Center for Tropical Agriculture (CIAT), and guest professor with China’s Academy of Agricultural Sciences in Beijing. “This tiny wasp definitely packs a punch, as it’s able to travel for nearly 20 km per generation, obtains its main source of carbohydrates from cassava (extra-floral) nectar, and is highly adaptable to environmental conditions”, he says. Though further research on this unique, highly-successful case of biological control is still underway in different parts of Southeast Asia, the study in Biological Control already provides critical insights into local dynamics of the invasive mealybug and its introduced parasitoid. The study provides an important sequel to the pioneering work from the 1980s and constitutes a beacon of hope in a corner of the world that’s marred by escalating pesticide use and rapidly-degrading agro-ecosystems. Through their study, the international team of scientists conveys the message that nature-based strategies can effectively control invasive pest problems and that biological control -when carried out judiciously- constitutes a most powerful alternative to insecticide sprays. In times of fast-declining insect numbers and aggravating biodiversity loss across the globe, Dr. Wyckhuys and his colleagues call upon scientists across disciplines to redouble their attention on the highly-diverse and fascinating insect world and the invaluable services they provide to humanity. Hence, next time you come across ‘creepy crawlies’ in your vegetable garden, think again! Do recall that many of them work –tirelessly, day and night, without drawing a paycheck- to keep pests at bay and to ensure our agricultural produce remains healthy, nutritious and pesticide-free. These findings are described in the article entitled Landscape context does not constrain biological control of Phenacoccus manihoti in intensified cassava systems of southern Vietnam, recently published in the journal Biological Control. This work was conducted by T.T.N. Le from the Vietnam Academy of Agricultural Sciences, I. Graziosi from the University of Kentucky, T.M. Cira from the University of Minnesota, M. W. Gates from the USDA, L. Parker from CGIAR, and K. A. G. Wyckhuys from CGIAR and China’s International Joint Research Laboratory on Ecological Pest Management. Kris Wyckhuys is the former cassava entomologist of the International Center for Tropical Agriculture (CIAT), Consultative Group on International Agricultural Research.